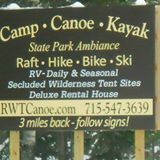 Camping at RWT - a bit of heaven nestled in the northwoods! 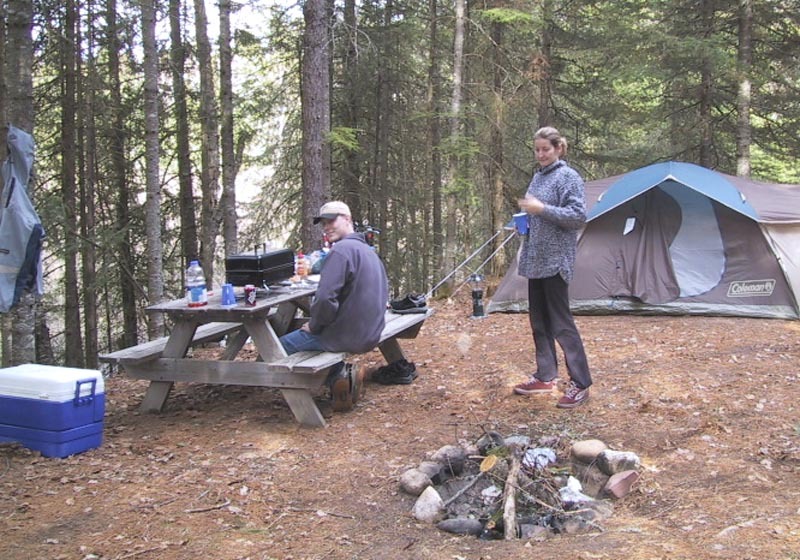 Camping at Rohr's - Blueberry Haven is wonderful, come spend the weekend and try it out! RWT has developed a beautiful campground with state park ambiance and great facilities, the property borders the wonderful Headwaters of the Wisconsin River and Portage Creek. We have our own private canoe landing, beautiful shower house, inviting mountain bike and hiking trail on property, many great rivers, expert advise and the best of equipment to rent. Our beautiful campground is a great place to experience the wonders of Wisconsin's pristine Northwoods. Conover is in Northern Wisconsin's Vilas County, just 13 miles north of Eagle River and just south of the Sylvania Wilderness Area, the opportunities for paddling, hiking, fishing, atv riding, equestrian camping, mountain biking, and trail bike riding are endless. We have five different areas to choose from with sites that are similar to sites in our favorite state parks - walk-in river, serenity, blueberry haven, water/electric and full hook-up. Each area provides it's our unique richness - the river sites provide the tranquil night sounds of the flowing water, the serenity area is wooded by tall pines, blueberry haven is surrounded by blueberries and nestled into the woods - these sites also have 15 amp power for teardrops and tiny campers, the water/electric area has sites large enough for big rigs featuring 20 and 30 amp sites and the full hook-ups have complete setup for seasonal stay with 30 or 50 amp power and each site is large enough for a big rig. All sites are wooded. No need to backup up your trailer or RV, we have a circle drive and many pull-thru sites! Want your own getaway in the Northwoods, but don't want all the work, then bring your camper and come settle at RWT, from here you've got lots of playtime in your future! 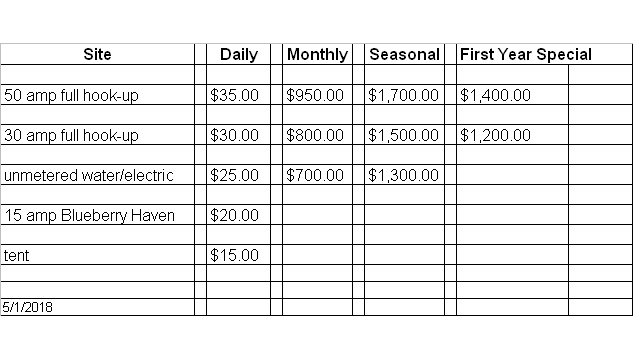 Seasonal sites available, please call for availability, reservations for seasonal are open.
] 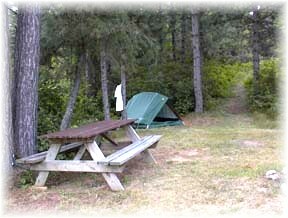 Each campsite is complete with picnic table and firepit. All camping guests have access to our showerhouse. 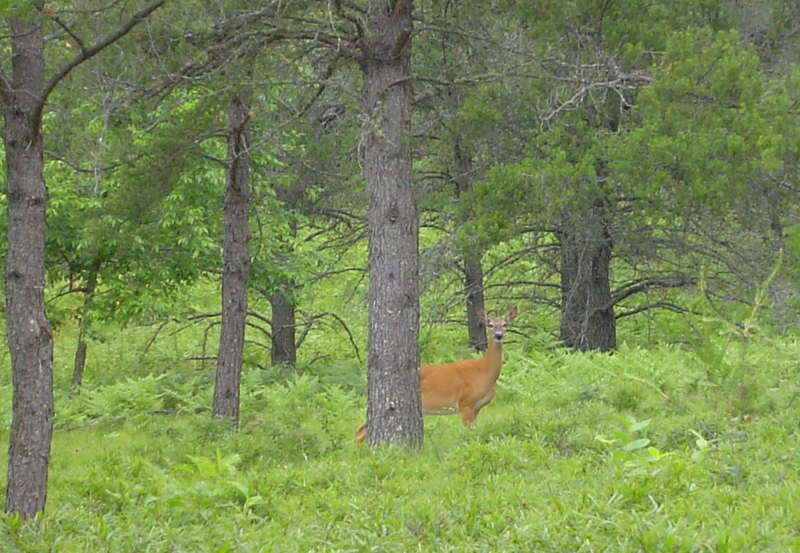 Make yourself at home in the northwoods and enjoy the tranquility. All guests are invited to pick wild blueberries, raspberries, blackberries and hazzle nuts here on the property. We have an exquisite patch of each. We have Ice and Firewood for sale. Per State of Wisconsin DNR regulations no firewood may be brought into Wisconsin from out of state, this is due to an infestation problem which attacks ash trees. Come be a part of the fun, contact us!